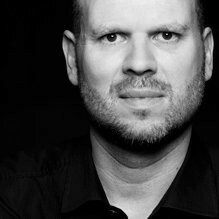 Every month Oliver Dietrich, Director of Creative Ideation P7S1, offers his feedback on recent marketing campaigns and what startups can learn. The Bundesliga season 2018/19 is about to kick off and Oli focuses on ads featuring footballer testimonials. Today he takes a close look at Lenor Unstoppables - a result of the collaboration between P&G and FC Bayern, both greats in their field. #1 Tell a believable story. If you don’t believe the story then you don’t believe in their brand and its promises. #2 TV spots with reach will be remembered. Unfortunately the bad ones as well as the good ones. #3 If you use testimonials, then use them for your brand as well. The brand at the forefront, then the stars for the brand. If they just advertise for themselves then the whole project is for nothing – but the costs are the same. P&G introduces their new product, a laundry fragrance called Lenor Unstoppables, onto the German market. Added to the detergent and softener in the washing machine, it promises long lasting out-of-the-closet freshness. To establish a new product category with the support of TV advertising reach and become the market leader. After the launch campaign with laundry expert Amy Sedaris, who is well known in the US but nobody here knows (and what is a laundry expert anyway?) possibly didn’t perform so well, they decided on the following direction: a TV spot with sports testimonials well-known in Germany in their natural environment - the football stadium. A TV commercial like a poem by Gottfried Benn. Full of hidden clues, full of allusions, full of imagination, full of errors. Various levels of narrative are used, intricately intertwined, leaving the audience breathless. Do their shirts smell so good because Unstoppables make them smell fresh for so long – or maybe these players just aren‘t sweating enough anymore. Maybe the Bundesliga is too weak for FC Bayern and their players no longer have to sweat, are no longer pushed to their limits? Perhaps the reason why the German and Polish teams departed so early from the World Cup is that top performers Lewandowski and Müller (Alaba didn’t even qualify!) just did not smell of hard work - and the gentle fragrance of their shirts is interpreted as a sign of weakness? Also, the scene in front of the sponsor wall in the post-match interviews was impressive. No bla bla platitudes and the tedious, scripted footballer responses due to the boring questions from reporters who have long resigned themselves to the predictability and streamlined nature of all statements. Just the stars with their heads covered in fragrant-smelling shirt as a silent indictment and outcry against overcapitalization of modern football. Alone the smelling performance from Alaba, Müller and Lewandowski sets standards high. Hummels can look at his somewhat unfortunate Head & Shoulders TV spot and learn something. If the three transfer this performance onto the pitch - and take Hummels with them - it will be an incredible season for Bayern.